7214 NW 116th Way, Parkland, FL.| MLS# A10615707 | Susan J Penn l Best Agent l Buy & Sell South Florida Homes! A MUST SEE!!! 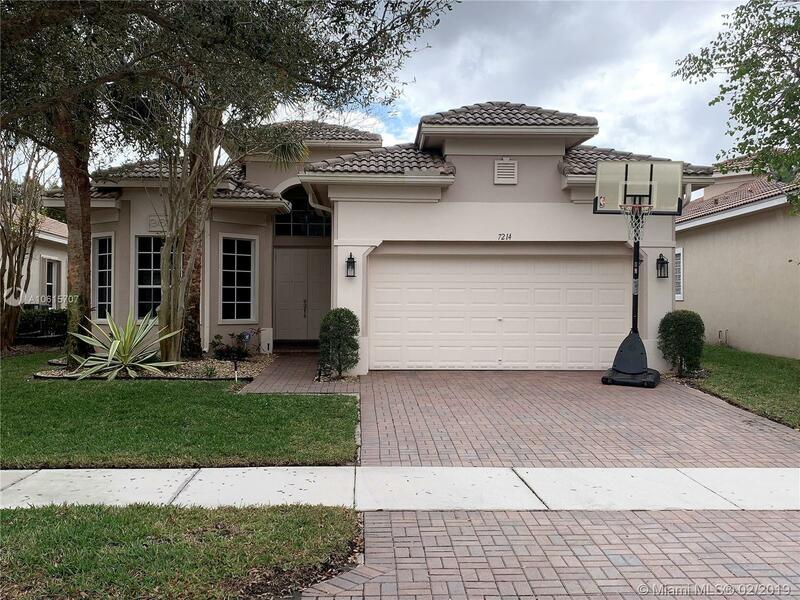 Beautiful home located in Heron Bay with 3 bedrooms, 2.5 bathrooms, and 2 car garage. Open kitchen with granite counter tops and stainless steel appliances. Great room. Laminate floors in bedrooms. Large master bedroom with large walk-in closets and a water view. Large screened in patio. Newer A/C, washer, dryer, and kitchen appliances. Guard gated community with 2 clubhouses, basketball courts, tennis courts, gym, resort style pool, sauna, and kids play area. Association fee includes internet, cable, lawn maintenance, and security alarm. Directions: North Of The Sawgrass On Coral Ridge Dr. Enter Heron Bay Through The North Gate.